To many Westerners, some of the most popular foods in Asia can seem kinda strange .But some of the most popular foods in Asia can also prove dangerous to human health. If you are planning to travel abroad, be careful if you choose to try any of these local specialties. 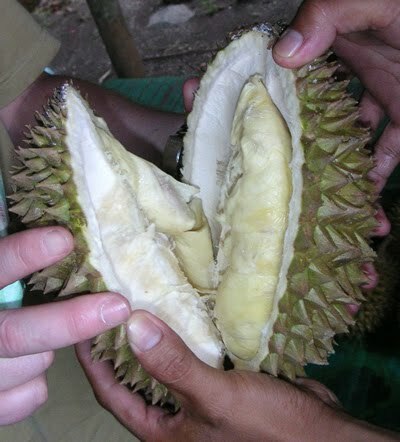 Durian is a fruit that grows throughout southeast Asia, including Indonesia and Malaysia. The fruit has a distinctive odor that has been compared to a strong cheese, almonds, or manure. Because of this, some public transportation systems in Asia have forbidden passengers to carry the durian. The soft flesh of the durian is encased in a hard, thorny covering, and if one of these fruits was to fall on your head, you could be seriously hurt. But the durian can also prove deadly in combination with alcohol. According to researchers at the University of Tsukuba, Japan, Durian contains a sulphur-like compound that, when ingested, makes it hard for the liver to break down alcohol. So if you’ve been drinking to excess and snacking on Durian, you may be at risk for liver damage or even severe alcohol poisoning that could prove fatal. 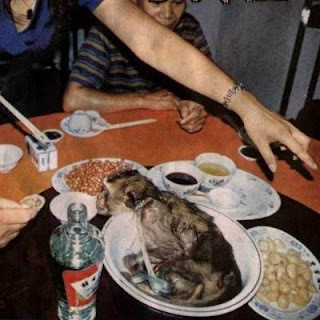 Long considered a delicacy in China, eating monkey brains can cause a disease similar to mad cow, known as Variant Creutzfeldt-Jakob disease. What does that mean for you? Well, basically, your brain could turn into something with as many holes as a slice of Swiss cheese. 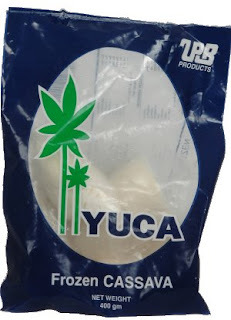 Cassava is used to make snacks, as well as tapioca (which is what the “bubbles” in bubble tea are made from). However, if it is prepared incorrectly, cassava can contains dangerous levels of cyanide. Cassava poisoning, also known as “Konzo”, can lead to paralysis or even death. 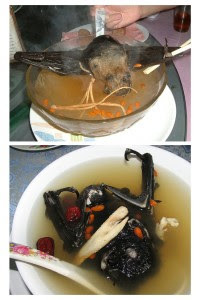 Both of these dishes are on the list for the same reason: the meat used to prepare these local specialities can contain dangerous parasites or pathogens. 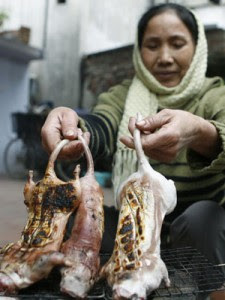 If improperly cooked, the meat from these creatures can cause serious illness, or even death in very extreme cases. 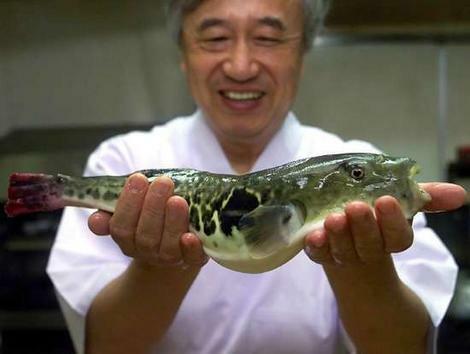 Fugu, aka pufferfish, is completely safe to eat when properly prepared. However, the liver is extremely toxic, and only licensed Japanese chefs are allowed to prepare fugu. If a plate of fugu has been incorrectly prepared, a person may consume dangerous amounts of tetrodotoxin. This leads to numbness, then pain, and finally a paralysis so complete that even the muscles of the diaphragm stop working, essentially smothering you to death.